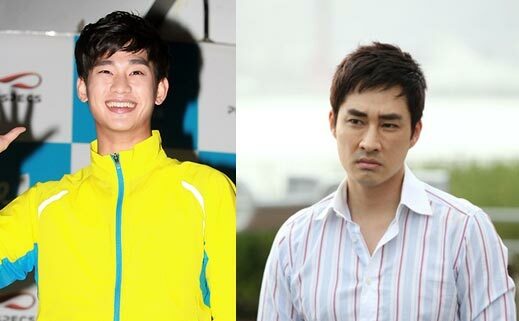 The Equator Man Starring Kim Soo Hyun? Kim Soo Hyun is starring in The Equator Man? In early April 2012, the casts and characters column of official website of KBS2 TV drama series Man From the Equator was showing the name of Kim Soo Hyun. He is playing the role of Mr. Gun, former bodyguard for important personage at political and business circle. Accordingly, netizens shows enthusiastic interest. This is because some has doubt on Kim Soo Hyun who is immensely popular after starring in MBC’s The Moon that Embraces the Sun would suddenly starring in Man From the Equator as a supporting actor. In addition, the official website does not show a picture of Kim Soo Hyun, causing much confusion. However, it turned out to be a accidental farce. The actor has the same name as Kim Soo Hyun. The Kim Soo Hyun who is starring in Man From the Equator is the Kim Soo Hyun (1978) who starred in 2010’s The Fugitive: Plan B. He is only well known after graduating with multiple majors of performing arts and commercial film from UCLA.